Every student wishes that there was some kind of magic that will make them smarter in an instant. Now, wouldn’t that be something? If there was an item that gives you vast knowledge and intelligence upon wearing it that would be tons of help! The foods that you eat can make you smarter. Some foods help improve your ability to function in specific situations to improve memory and cognition, for example. Foods can help assuage depression and anxiety and improve your sense of well-being. So, there are definitely foods that we can eat to boost our brain power. Our brain needs to be in top condition if it were to face a mountain pile of reports and stack of textbooks to conquer challenge accepted. This article is about food sources that are good for the brains of students, to help them with the required cognitive performance needs in studying, memorizing and test taking, but you might want to read about foods that are bad for your brain, too. Known to be the best breakfast meal and an essential component for breakfast because they take longer to digest. Plus, they are not just for the heart and maintaining a healthy diet; these foods actually help and improve blood flow. Oatmeal and whole grains are important foods since they help you get through the day. It’s the best source of energy for the brain and body. Are Berries Good for the Brain? Any kinds of berries: strawberry, blueberry, blackberry, you name it. 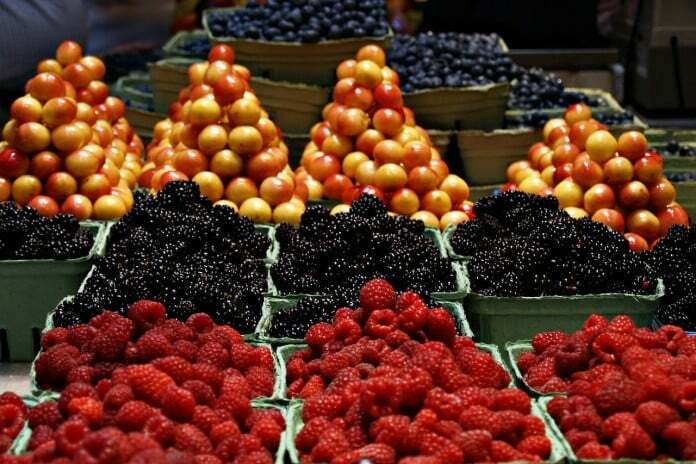 Berries are full of antioxidants called flavonoids – anthocyanin. This antioxidant-rich food can develop brain memory, aid brain function and preserve it. They are good for learning and memorizing. This wonderful brain food is a trusted partner for battling those terminologies and jargons that needs memorizing. Bright red tomatoes are a great source for lycopene. The antioxidants that are practically good for your heart and brain. It helps reduces cerebral aging and prevents having dementia. Eat lots of tomatoes and it will aid you in concentration. Perfect for long hours of studying. Fish are a healthy source of protein. They are rich in omega-3 and their fatty oils are actually good and healthy for the body. They induce alertness and improve memory. And tuna, also, is the main source for vitamin B6 which influences dopamine. Dopamine is the brains happy receptors. How bout that! A good source of fat! They are creamy and smooth and the usual partner for salads and sandwiches. They are rich in fatty acids that help repair myelin, which is a vital part of the brain since myelin is the one that processes information. The good fats from avocadoes are essential for brain function and help blood circulation. Having plentiful antioxidants from this food helps combat high blood pressure and diabetes. These brain foods overall improve your mental health. They even reduce the risks of your body for having heart diseases and diabetes. Imagine, just by consuming these brain foods actually help avoid taking those prescribed medicine for diabetes or alternate food supplements. Like any other student, I am highly aware of the fact that there is a routine I live by  Study. Eat. Class. Study. Sleep. Repeat. And in that routine, I study twice as much. But with my favorite brain foods, its safe to say: Mountain pile of reports and stacks of textbooks, Challenge conquered!